TechNode looking for a news editor who can help us identify and tell the latest China tech stories, pinpoint emerging trends and topics, and help shepherd them into our feature coverage. News is a core strength of TechNode. Reporting to the Managing Editor, the news editor is responsible for rolling out and enforcing the highest journalism standards, including style guidelines. They will also be responsible for revising current news gathering methods to ensure that our coverage is best in class for China tech news. In addition, a key goal will be to increase emphasis on original reporting, to ensure we bring fresh insights to TechNode subscribers. A full job description for this and other editorial opportunities at TechNode is here. About TechNode: Started in 2007 by Lu Gang, TechNode began as one man’s attempt to tell the world about what’s happening in China’s tech and startup ecosystems. 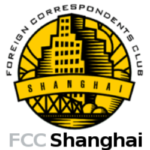 Since that time, we have grown into a trusted and respected information outlet, events organizer, and an integral part of the tech and startup community both inside and outside of China with our partners at TechCrunch. We’re headquartered in Shanghai.